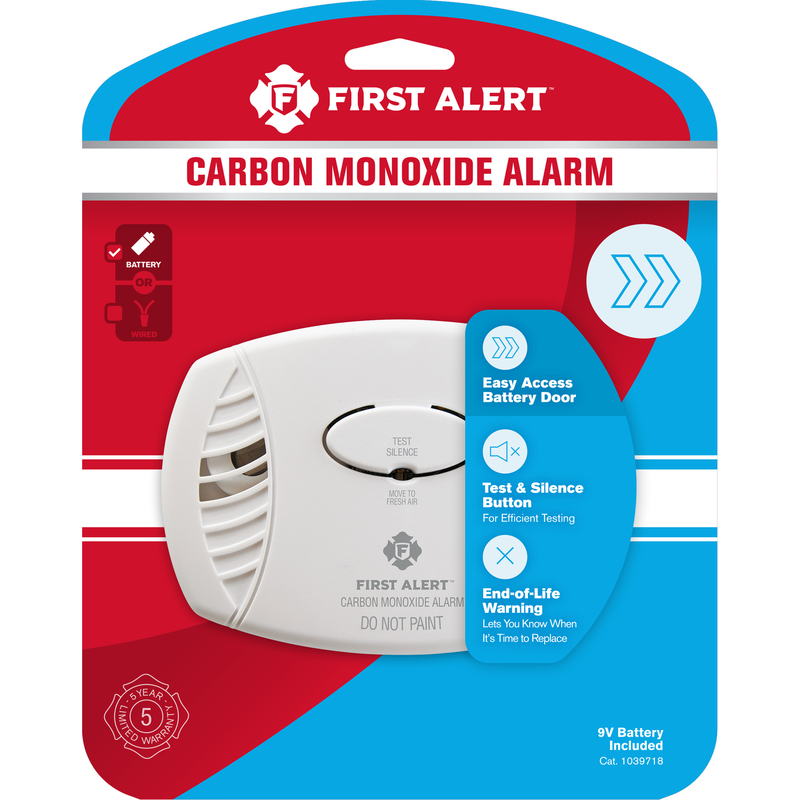 Protect your home from dangerous carbon monoxide with the First Alert Battery-Operated Carbon Monoxide Alarm. This carbon monoxide detector uses an electrochemical carbon monoxide sensor to detect the CO you can't see, smell, or taste in the air. Each unit is powered by one 9-volt replaceable battery, offering peace of mind even during power outages, and includes a permanent internal sensor that lasts up to five years. An 85-decibel horn sounds if carbon monoxide levels are too high, and a pull-down action chart on the detector offers guidance on what to do if an alarm goes off. This detector features a test/silence button that silences the alarm and allows you to test its functionality. No installation or outlet is required, and an optional wall mount is included. CO detector alerts you to elevated levels of carbon monoxide. Electrochemical CO sensor is most accurate technology available. Battery-operated design works almost anywhere.